Come in from the cold! 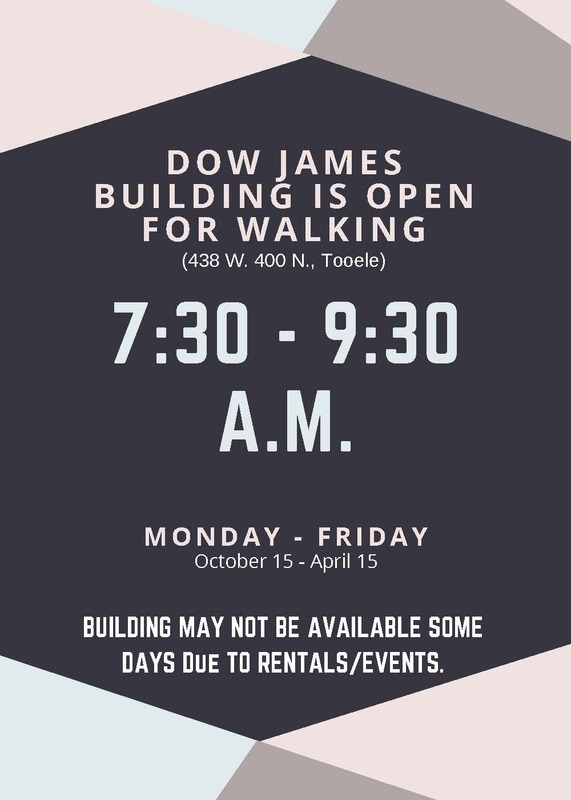 The Dow James Building is available for walking most weekday mornings from 7:30 a.m. to 9:30 a.m. from October 15th through April 15th. This is a great service available during the winter months that we hope our residents will take advantage of and enjoy! Questions? Call Tooele City Parks and Recreation at 435.843.2143.